Genidia is a new concept office chair that formulates humanity, ergonomics and technology with a poetic touch. It’s cutting edge outline, breakthrough bonding design and interactive sitting posture care engineering, will spearhead trends of office chair development in the foreseeable future. 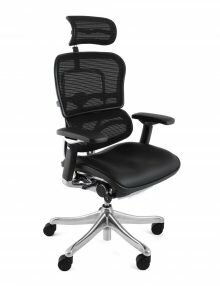 Features a single lever adjustment, height adjustable lumbar support, moving back support which mimics the spine, 4D adjustable arms, roll out seat depth adjustment, easy to use tension control, optional height and angle adjustable headrest. The Genidia chair also comes in different colours and mesh/fabric/leather variations. Please contact us for more information. The Enjoy brings extraordinary economy to luxury seating. Sharing many of the features of the top-range Ergohuman models, the Enjoy office chair provides intensive 8-hour day comfort. With unique autoflex zones for back and lumbar support and a range of adjustments using the ingeniously simple single lever control to provide personalised comfort, the Enjoy chair is beautifully designed for enduring comfort. Features include a synchro tilt mechanism with 3 positional lock, seat slide, gas height adjustment, height adjustable back, Arms with height, depth and angle adjustment, height and angle adjustable neck roll. Different upholstery combinations of mesh, fabric and leather are available. 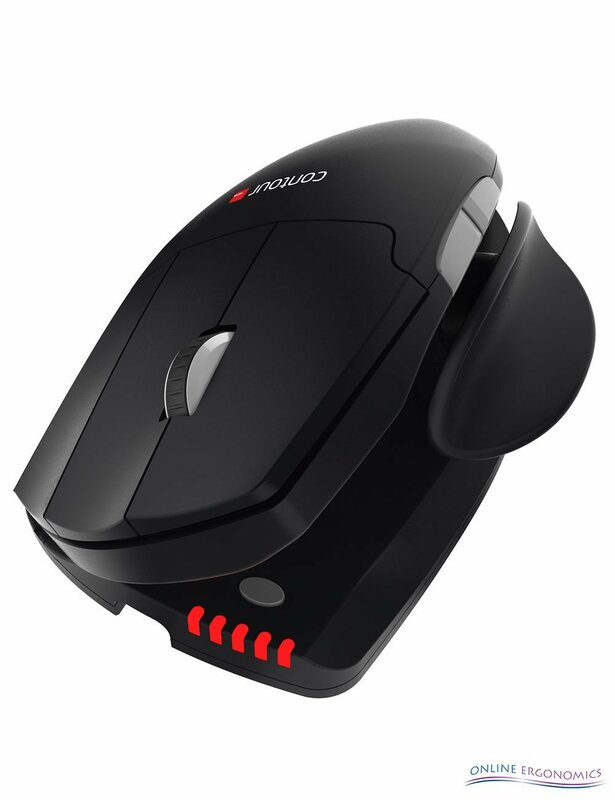 Other colours are available to order. Please get in touch for more information. 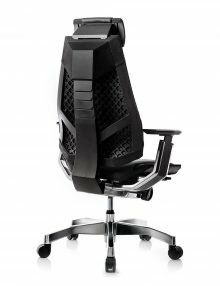 The Ergohuman is a perfect fusion of art and science, with flex zones that ensure constant support of back and lumbar, multi-dimensional adjustable arm rests for unparalleled support and a height-adjustable pivoting headrest for full cranial support. 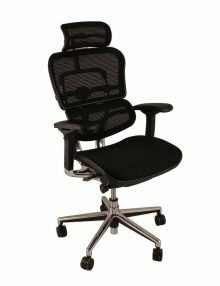 Aesthetics, form and function allow this ergonomic chair to utilize a synchro tilt mechanism with 3 positional lock, sliding seat, gas height adjustment, automatic lumbar support system, height and angle adjustable arms and headrest all in one very unique ergonomic chair. The Ergohuman chair also comes in different colours and mesh/fabric/leather variations. Please contact us for more information. 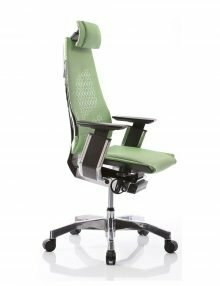 The Ergohuman Plus is a perfect fusion of art and science, with flex zones that ensure constant support of back and lumbar, multi-dimensional adjustable arm rests for unparalleled support and a height-adjustable pivoting headrest for full cranial support. The ErgoHuman Plus has all the qualities of the standard Ergohuman with the added benefit of a redesigned mechanism featuring a seat tilt function and encased in polished aluminium. 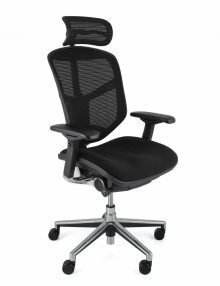 The Ergohuman Plus chair also comes in different colours and mesh/fabric/leather variations. Please contact us for more information.